Graciela Urdiales looked forward to retirement, but more than 30 years of breathing difficulties were making it difficult to keep up with her loved ones. 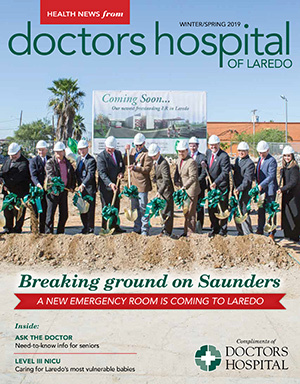 Soon, Laredo residents will have another location to receive emergency care like the care they have come to expect from Doctors Hospital of Laredo. An annual checkup isn’t just for kids — seniors can benefit from regular preventive care. At Doctors Hospital, we hope no baby or parent ever has to visit our neonatal intensive care unit (NICU).